As I scrolled through some pictures I took on Sunday morning … I noticed a common denominator in each picture. A photo bomb, of sorts. Gotta have that coffee in the mornings! 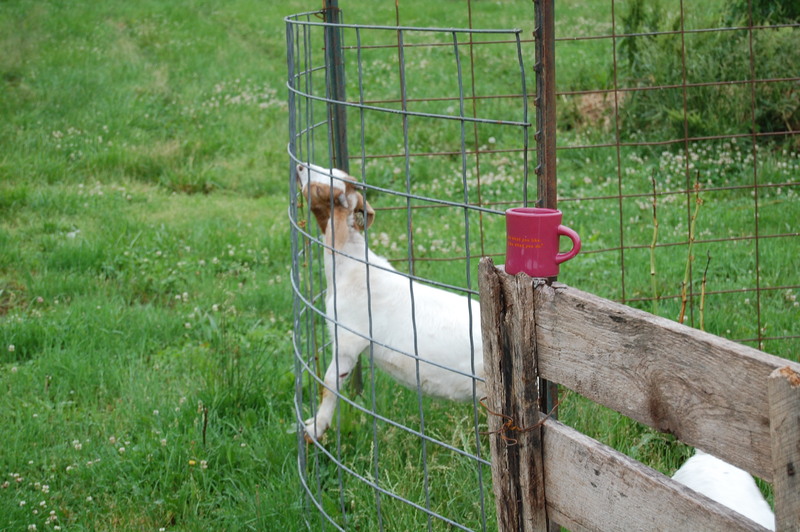 This entry was posted in Country Living and tagged coffee, Country life, flower bed, goats, Sunday Morning. Bookmark the permalink. 11 Responses to What’s in common? Are you always wondering where you left it, too!? Yes! Drives me nuts, looking for it. It’s my thick, heavy, Life is Good mug! Haha! That pretty cup showed up nicely. 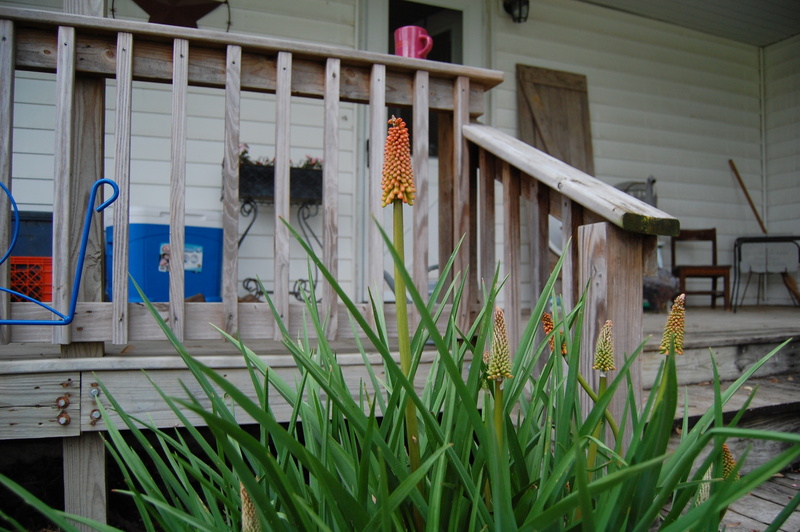 Marla – Is that Red Hot Poker in the second photo? I’ve tried TWICE to grow me some of that from seed and I’ve failed miserably. I bought yet another packet of seeds and I’m going to try growing it in the fall to see if that makes any difference. I do not know what that is – it was here when I purchased this place. I am wondering if it starts best from transplant/splitting the plant? 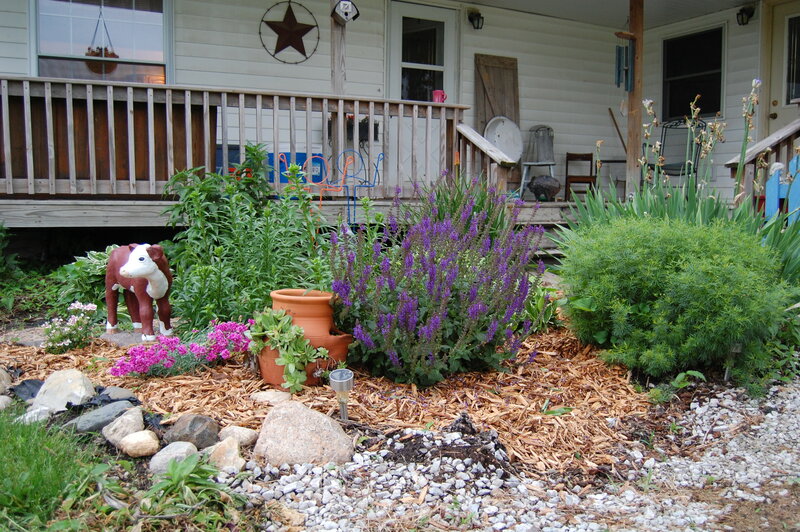 Either – grown from seeds or plant division.